And by local I mean anything that isn’t an epic road trip or flight to get to. 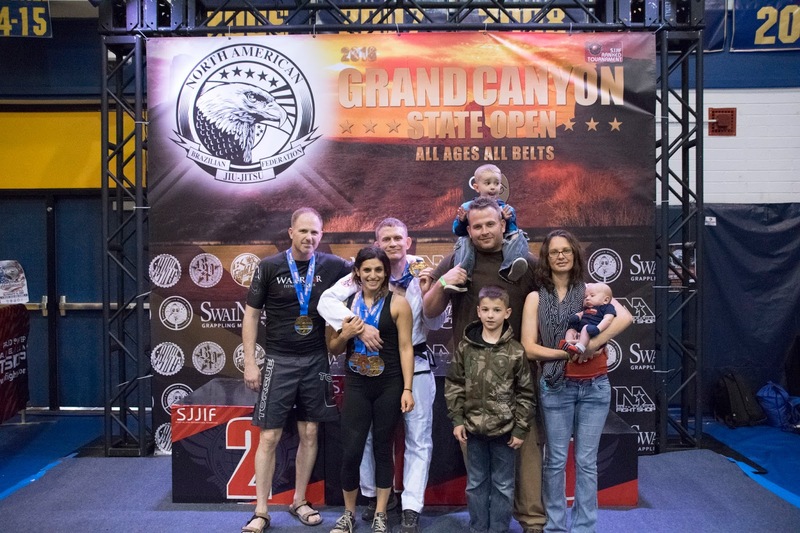 These tournaments allow you the most time to prepare at your gym and at your house. 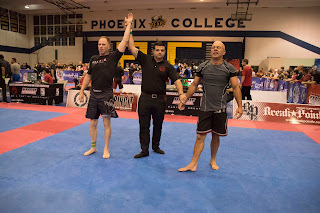 They do not make you deviate too much from your normal preparation and allow you to leave the nest a bit and go try to work your techniques out on someone who is both trying to beat you and doesn’t grapple the same way that your school does. Nothing will inspire confidence in your techniques like being able to pull them off against a fully resisting opponent like this. However there are some drawbacks. 1. Cost – Sometimes your divisions are very small, and sometimes not. Depending on how many matches you get, it may or may not make sense to do a specific tournament. 2. Time – Supporting your team and / or competing at a tournament can be a long day. Come prepared. Tournaments always go longer than you think they will. 3. Mentality – Sometimes the worst thing that could happen is that you either win or lose a tournament, depending on your mentality. To some people, losing is so… embarrassing(?).. that they do not like to compete again afterwards. And so, the fear of not looking your best makes you not become your best. Winning can inspire people to have an inflated sense of ego and not train properly or as diligently in the future. Be careful. 1. Cost – Traveling and competing is way more expensive than just competing. Plus you have to factor in time off work, etc. 2. Diet – Its way harder to manage your diet on the road, plan ahead. This is only a ‘con’ in so far as if you don’t prepare. In the end, this one makes you better overall, in my opinion. 3. Time – Pretty self-explanatory. However the added time isn’t wasted. Some of my best memories are from traveling around with the team to different places. 1. Lower Stakes - I feel that for most people, they don’t feel as much pressure at open mat. That’s definitely beneficial when it comes to trying to implement your game and learning to relax more, but it is good to also (from time to time) learn how to deal with the perceived pressure to win and the knowledge that any and every mistake could end your day of grappling early. Without this buy in, you don’t learn as well the lessons related to self-defense. 2. 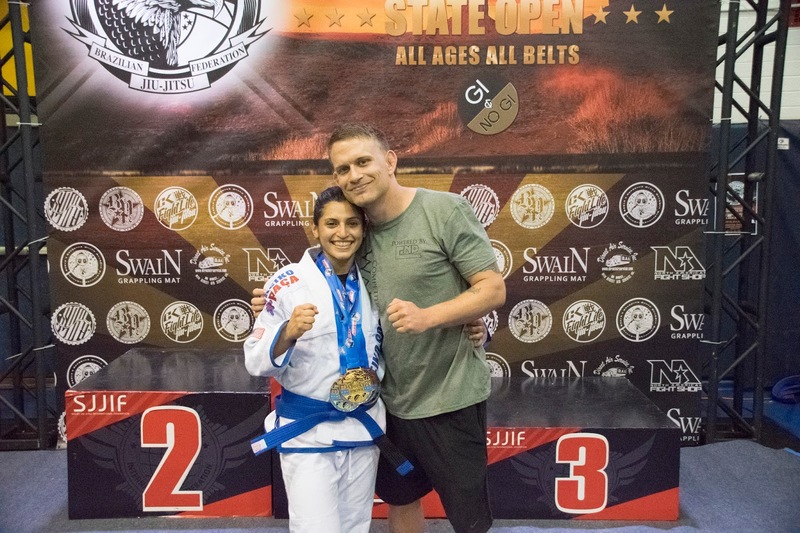 Not As Competitive – Now, some of the best BJJ players in the world may not be the guys you compete against in local tournaments, but on the other hand… a lot of people you will grapple with at open mats may not be as tough of opponents as you would get at a tournament. This is both a pro and a con as you may travel a ways for training just to help other people out more than yourself, however you also get chances to really work your game in places you don’t normally get it. 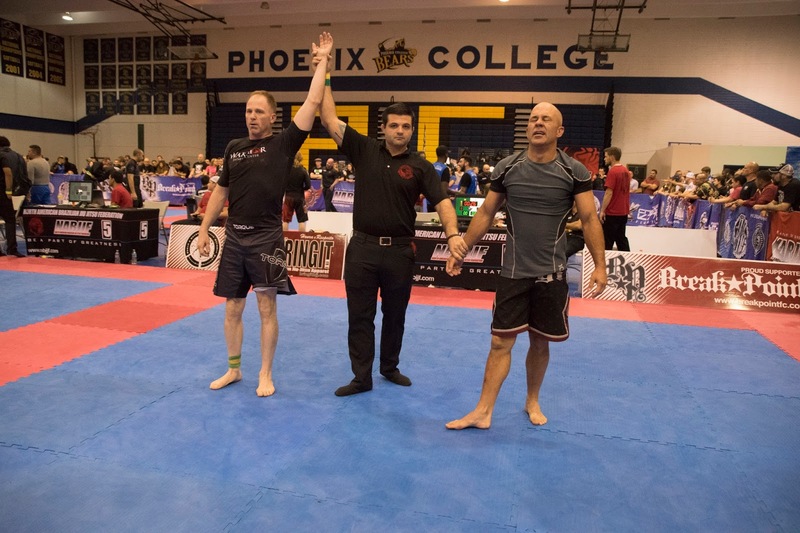 It’s more competitive than your gym, but less than the ADCC, use that to improve. Perfect time to try your game and train with people who are interested in you succeeding, don’t want you to be hurt, and are also trying to improve. There are no ‘cons’ to gym randori in the sense that, at a good gym, you could get numerous different speeds and ‘feels’ to your grappling sessions. Don’t be afraid to communicate with your partners about what you want to work on and also do not be afraid to lose. A lot of people go as hard as they can, get tired, and then ‘tap out’ from position so they can sit out for a bit. Use that time that you are on bottom getting smashed to evaluate which parts of your game are more attribute based and try to fix them. Your partner deserves to train to, so try to not take that away by giving up early. Also, it teaches you to be mentally tougher every time you overcome that adversity and desire to concede defeat early. I learn and have learned the most training and competing with my students and training partners every day. Without training live we have no context in which to learn. Without randori and different avenues of competition, both inside and outside the gym, we will fall victim to being another "Traditional Martial Art" with no relevancy in real life. Beware of where and how you train. Use the opportunities you have every day to get better. You only have one chance to give 100 percent. 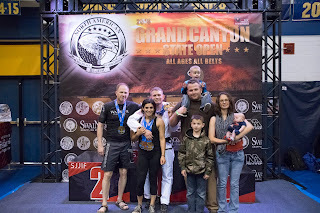 Your family loves it when your Bjj family comes to AZ and CA!! You bring the best conversations for us and best influences for our children. Great post! !